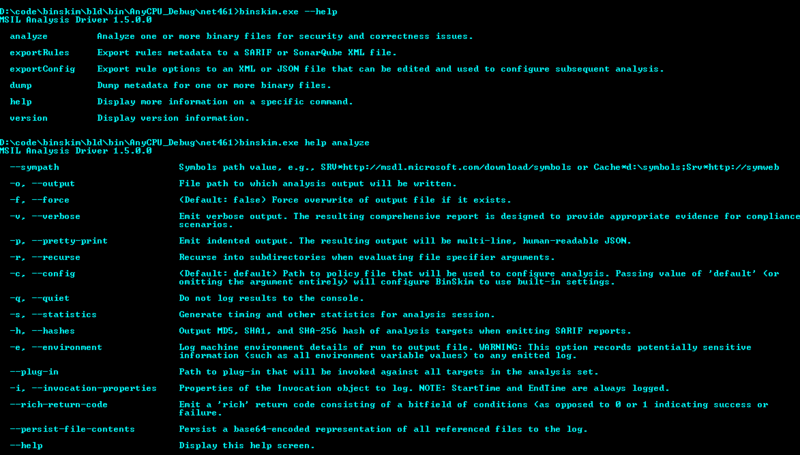 Browse: Home / BinSkim Binary Analyzer. * Use of Outdated Compiler Tool Sets – Binaries should be compiled against the most recent compiler tool sets wherever possible to maximize the use of current compiler-level and OS-provided security mitigations. * Insecure Compilation Settings – Binaries should be compiled with the most secure settings possible to enable OS-provided security mitigations, maximize compiler errors and actionable warnings reporting, among other things. * Signing issues – Signed binaries should be signed with cryptographically-strong algorithms. ← wifite2 – automated wirelesss security auditor.